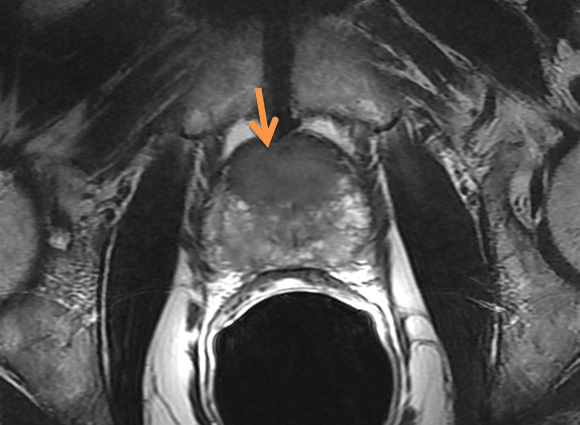 Multiparametric and biparametric magnetic resonance imaging (MRI) have similar accuracy in detecting prostate cancer (PCa) in treatment-naïve men, according to a new systematic review and meta-analysis. A team led by Abdullah Alabousi, MD, of McMaster University in Hamilton, Ontario, Canada, analyzed data from 31 studies reporting on 9244 treatment-naïve men, of whom 4161 had PCa. Pooled summary statistics revealed no significant difference between biparametric MRI (bpMRI) and multiparametric MRI (mpMRI) in sensitivity (85% for mpMRI vs 88% for bpMRI) or specificity (74% vs 72%), the investigators reported in BJU International. Summary receiver operating characteristic curves were comparable (0.87 vs 0.89). As the authors explained, mpMRI involves T2-weighted imaging (T2WI), diffusion-weighted imaging (DWI), and dynamic contrast enhanced (DCE) imaging sequences. DCE imaging has a relatively minor role in treatment-naïve patients, but “it is thought to be a useful adjunct particularly if the DWI or T2WI are technically inadequate,” they stated. The downside of DCE imaging is the need for intravenous gadolinium contrast, which increases imaging costs and prolongs scan time and is associated with a risk of allergic reactions to the gadolinium, Dr Alabousi’s team pointed out. DCE is not used with bpMRI, which involves only the use of T2WI and DWI. Alabousi M, Salameh JP, Gusenbauer K, et al. Biparametric versus multiparametric prostate MRI for detection of prostate cancer in treatment-naïve patients: A diagnostic test accuracy systematic review and meta-analysis. BJU Int. 2019; published online ahead of print.